Calder Screen Print print personalised charity fun run t-shirts and running vests. We are specialist screen printers and can supply all your charity fun run t-shirts, promotional clothing and items for your charity event. Whether you are a charity event organiser or are taking part in a charity fun run event, Calder Screen Print can supply your running vests and t-shirts, personalised for your charity event. 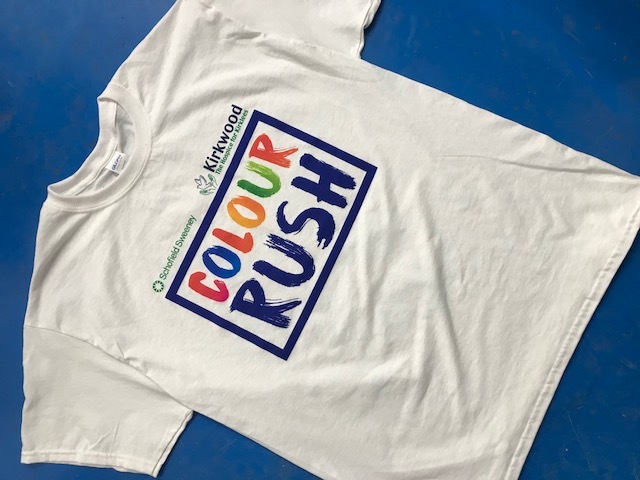 We can print on your t-shirts and running vests, so if you’re running for charity, Calder Screen Print can personalise your charity fun run t-shirts and running vests, perfect for raising awareness for your charity or charity event. Calder Screen print charity fun run t-shirts are available in a range of colours and with a wide range of personalising options, your personalised charity fun run t-shirts are sure to help your cause or charity. In addition to charity fun run t-shirts, we can also personalise clothing items such as hoodies, jackets and baseball caps. Calder Screenprint provide a complete charity t-shirting printing service, from charity fun run t-shirts to custom charity t-shirts for awareness of a charity or issue. Custom printed charity t-shirts make a bold, attention catching statement, raising awareness for your charity or cause. 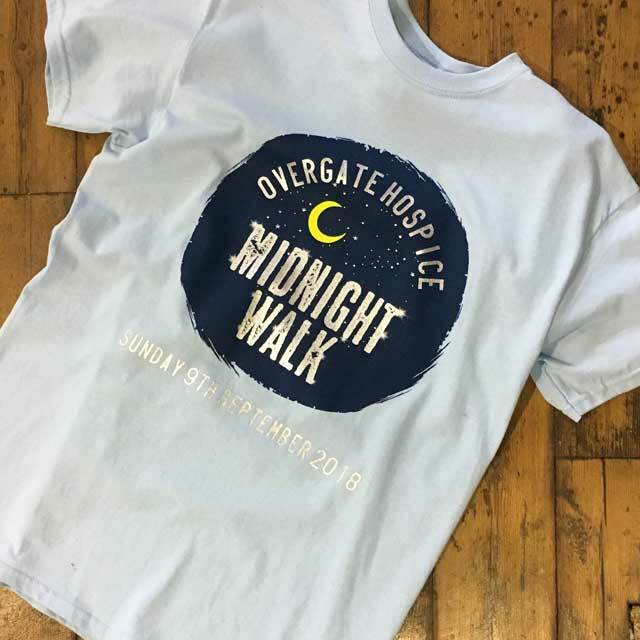 At Calder Screenprint, we help you with the design of your custom fund-raising t-shirt or custom charity t-shirt, with over 25 years of knowledge and experience we can help you create an eye-catching, attention grabbing charity t-shirt to effectively promote your charity or charitable event. We offer a quick turn around on all custom charity t-shirt orders, with a discount for bulk orders, keeping your running costs lower. When you’ve got your statement charity t-shirt, there’s no need to cover up your important message or lose attention when you need to cover up, why not take a look at our charity hoodie printing service. We can print your message on charity t-shirts, charity hoodies, charity running vests etc so that your message is never lost.